Write a letter to your baby and be a part of our next book. A Letter To My Baby will honor the devoted and doting, self-sacrificing and challenging relationships we have with our babies — No matter their age! 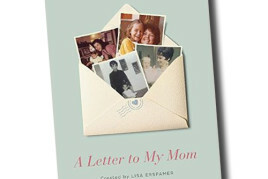 Following New York Times Best Seller, A Letter To My Mom, with letters written by celebrities including Suze Orman, Mariel Hemingway, Shania Twain, will.i.am, and Christy Turlington, A Letter To My Baby will continue to speak to the extraordinary bond between parent and child in an entirely different way. Whether your baby is just days old… in middle school…. or a grown adult – your baby will always be your baby! Sure to be filled with deeply personal stories or love, loss, anger, silliness, hardship, and memories, A Letter to My Baby will be a tribute to our loved-ones that increase our capacity to love more deeply than we dreamed imaginable. Nothing quite compares to the art form of letter-writing, and we’d love to share your personal notes to the babies in your life. Submit your letter for the book today! If you’d like to be considered for publication, please submit your letter (no more than 700 words please) and photos of your baby using the form below. 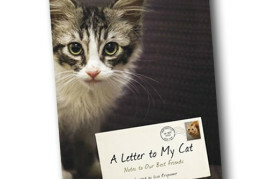 "A Letter To My Baby" follows the best-selling book "A Letter To My Dog" and "A Letter To My Cat", and the recent New York Times Best Seller "A Letter To My Mom". These books featured stunning photography and captivating letters from noted celebrities and influencers such as Oprah Winfrey, Tony Bennett, Kristin Chenoweth, Dr. Oz, Hilary Duff, Chelsea Handler, Dita Von Teese, Amy Smart, Mariel Hemingway, Tyler Perry and more. 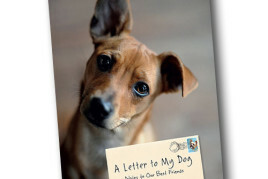 A Letter to My Dog is a beautiful, heartwarming book featuring stunning photographs and deeply personal letters written by a variety of dog lovers to their beloved, four-legged friends. A Letter To My Cat is a heartfelt compilation of stunning cat portraits accompanied by personal letters from devoted cat owners. A Letter To My Mom is full of compelling letters and intimate portraits honoring the powerful, loving, complicated, one-of-a-kind relationships we all have with our mothers.